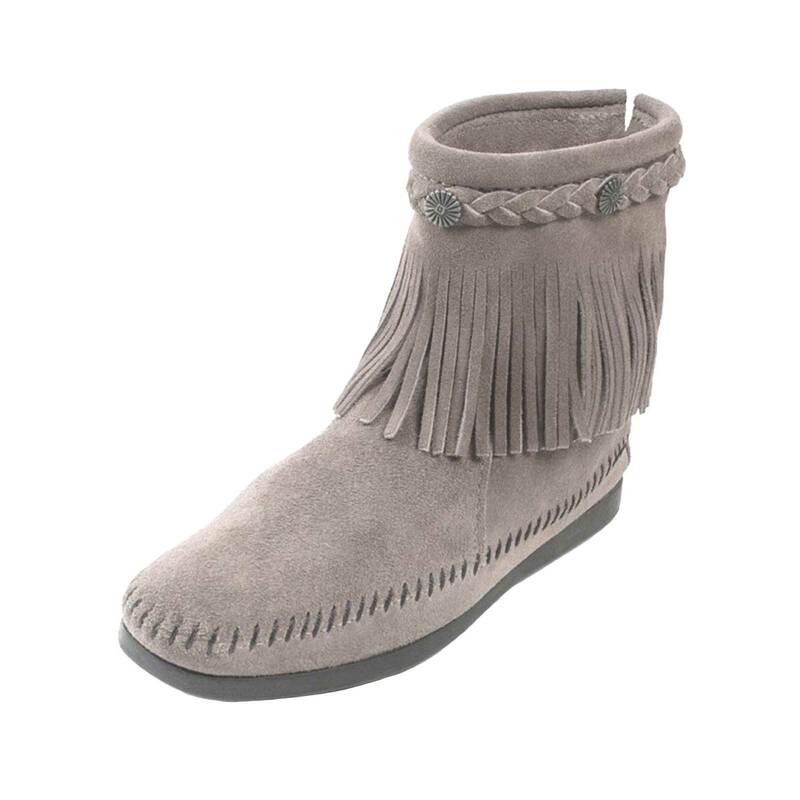 Moccasin out of smooth suede. and sole with heel-to-toe foam. 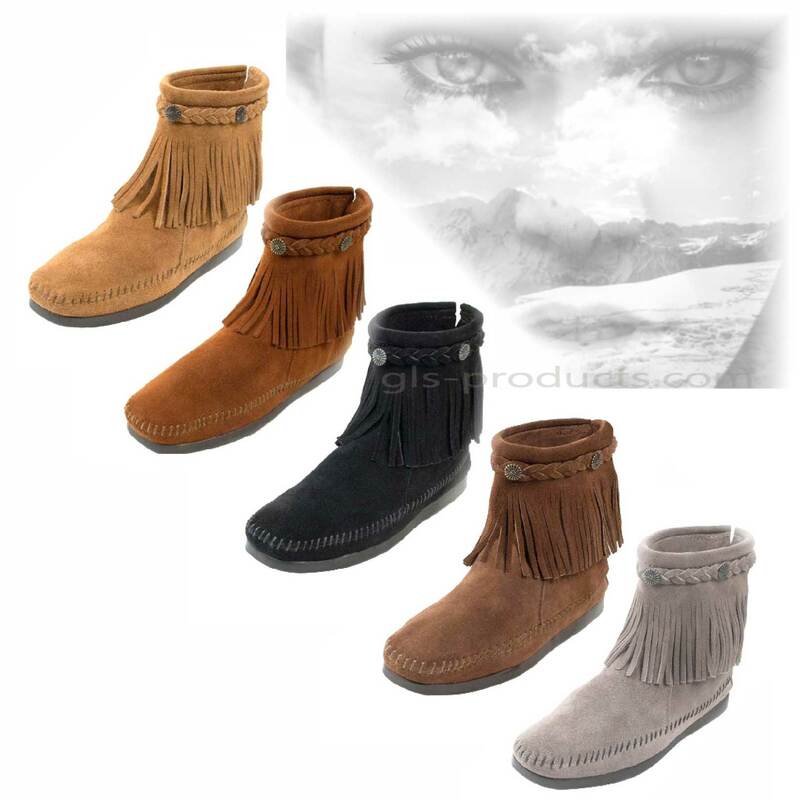 Minnetonka Moccasin are handmade in the tradtional way out of smooth suede. Zip on back makes it more easy to come in and out. This ankle high back zip boot features a new square toe shape and sole with heel-to-toe foam. 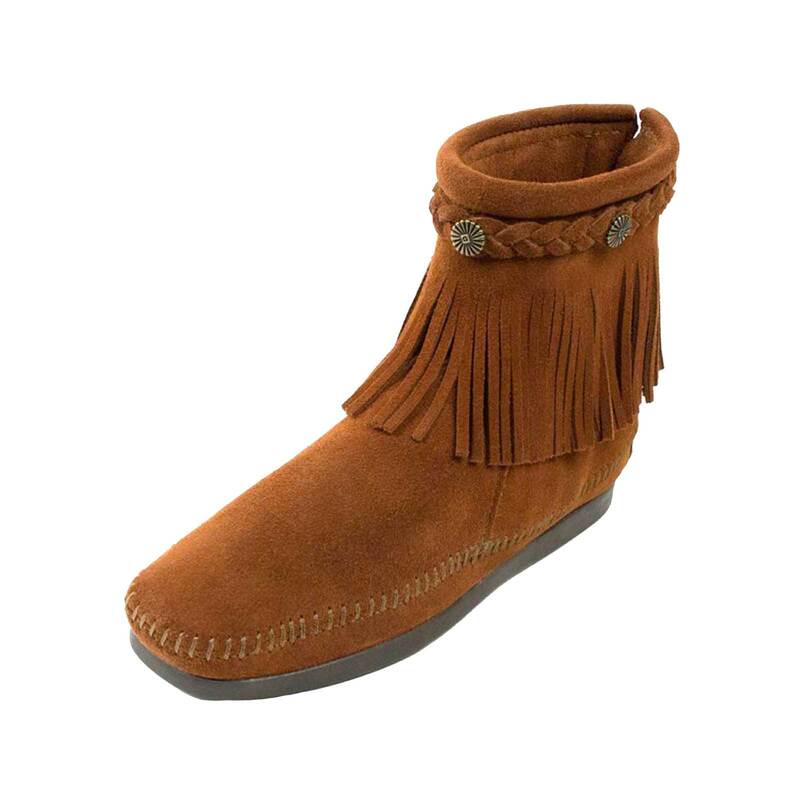 There is currently no rating submitted for Minnetonka Moccasin Hi Top Back Zipper.